There are 12 reviews of Sand Aoud. As previously stated, Sand Aoud opens with a ton of spices and a bit of incense shying in the background. I can faintly detect the promised black currant liqueur - but it is blended into the scent in a manner that it doesn't really stand out too much to my nose. Dark woods come to the front as the mid notes begin to develop and the spices take a step back to allow the woods center stage. As the fragrance begins its final phase, the incense really makes its presence known and Sand Aoud finishes its evolution this way. I don't get any of the typical Mancera oud nor do I detect much of the white musk that is supposed to be in the basenotes. The patchouli is definitely there but not in an offensive way as can be the case with some scents. Overall, I'd give Sand Aoud a 9/10 as it is an excellent scent with very good longevity and I really enjoy how it evolves through its various phases. It's not my favorite offering from Mancera but definitely ranks in the top few. Mancera Sand Aoud is one of the more agreeable aoud-named fragrances from the Mancera/Montale empire, in which aoud-named fragrances are numerous, seemingly beyond comparison to other western houses. This isn't very oud-intensive, though, or at least the oud is not very medicinal or animalic as it sometimes can be. It's rather smooth to the point that it comes off more like leather, with some sweetness coming from the blackcurrant and vanilla and a bit of mystery (spice, woods) coming from the saffron. It's a harmonious grouping that is easy to wear, both for men and women, though preferable in cooler weather based on the collection of notes. Performance is strong, as with most cold-weather-leaning Montale and Mancera offerings, and at $92 for 120ml on Notino, the value is strong. Even the retail pricing at $160 (or perhaps $180 with the increase) could be justified for this versatile cool weather winner. It's a "like" not a "love" for, though, even as agreeable as it is. Unsurprisingly, the more Mancera and Montale fragrances one tries, the one more inevitably encounters some redundancy, and there definitely feels like some overlap between Mancera Sand Aoud and Montale Aoud Cuir d'Arabie despite the latter being a little dirtier in my recollection. They've a dry, leathery commonality, though I need to retry the Montale. Very good stuff overall, though. Generic is the only word I can think of. I don't get much Aoud, what I smell is of the "Bandaid" variety, a bit medicinal. the Patchouli is hiding someplace. Smells a bit like medicinal lotion for dry skin. Not a favorite. Woodsy (Black Currant) yet with a little sweetness, creamy and oudy (This kind of reminds me of Viktor & Rolf Antidote, has that kind of a vibe at least). There is spiciness to it and its fresh all at the same time; a little powdery from the Vanilla and Saffron. One spritz and it felt very big from the Patchouli (almost like the sharpness your get in Sushi Imperiale-Bois 1920), the scent bubble is enormous and in your face. The idea of projection I would say is astringent/sharp this is all to indicate the need to be careful with the trigger. Some would find this fragrance nice overall, however some might find it to be a little too strong. Again, that could be curtailed by the amount of spray(s). Sand Aoud to me is dry and aromatic; less balsamic but more patchouli-ish with a warm spiciness in the background which brings a great deal of balance to the fragrances' performance. Amazing Mancera fragrance once again that is only to be judged after 20 mins! When it dries down one is left with a gorgeous blend of fruityness (mainly black currant) on a dusty bed of oud and patchouly surrounded by saffron and light spices but smelling still kind of fresh! Really unique stuff and I know nothing like it. It has above average projection and longevity for sure and performs marvelous. Mancera gets it right, again. Instead of going into some deep, psycho-babbly review, I'll just say this. There is NOTHING about this perfume that I dont like. Lets put it that way. And it has more of a Eastern vibe, than a Western vibe. You wont run into anyone else wearing this, unless they take perfumes as seriously as you do. There is nothing run of the mill about it. Mancera - Kumkat Wood vs. 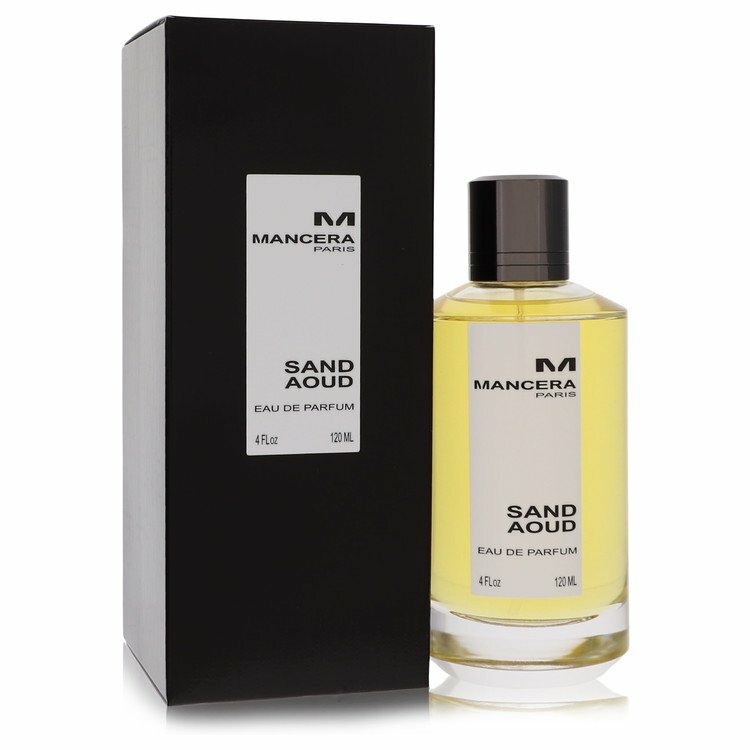 Sand Aoud?